Imagine if you could experience and feel something – an object or a space – that’s not really there. Virtual reality has been a dream of science fiction fans for decades, and it’s now officially here. VR is a multi-sensory computer simulated visual environment that allows us to immerse ourselves and interact with 3D worlds. Innovators across industries are now using the technology to tell stories and take users on faraway adventures. 3D communication accelerates comprehension because it is much more representative of the world we live in. Going beyond the two-dimensional canvas with a VR headset, allows users to step inside a model and view it in 1:1 scale – like you were really there. This can help foresee potential issues during the development phase, and gives clients a truly immersive experience of your vision. Interact with your design in real-time. Explore the space in a way that feels natural with instinctive navigation controls. Detect flaws or issues in architecture that are unseen in classic 2D plans. 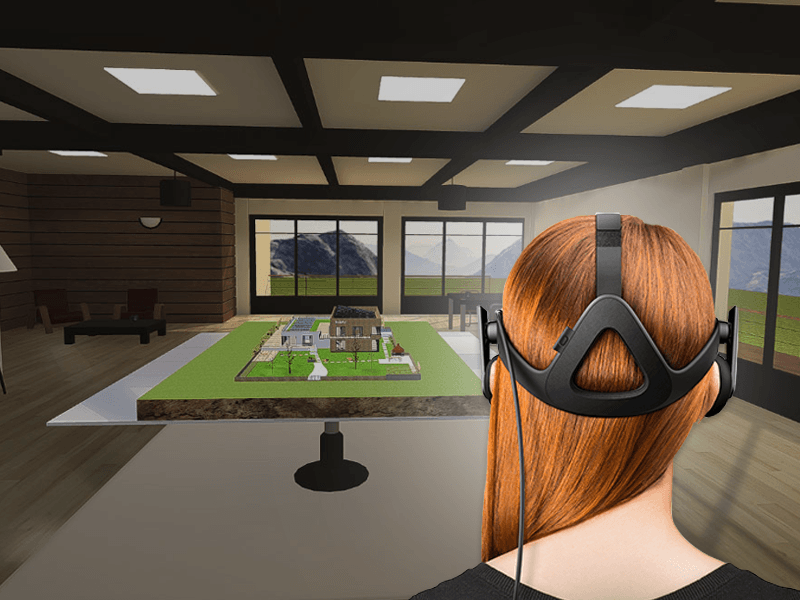 A fast and simple decision-making process is streamlined as clients experience the model through VR, thus reducing the cost of post-construction alterations. Google Cardboard is an affordable Virtual Reality headset. Get it, fold it and look inside to enter the world of Cardboard. Once you have it, you can immerse yourself in a SketchUp model and explore it closely in a 1:1 scale. Oculus Rift and HTC Vive made Virtual Reality the tech trend of the year. They’re the first premium VR headsets to truly take VR mainstream. With mind-blowing experiences available for download, they’ve already started to revolutionize the gaming and entertainment industries. But the potential for VR is immense in other industries too, like design, engineering and architecture. Kubity was one of the first industry-geared apps to harness the power of VR, and their latest plugin is out of this world. 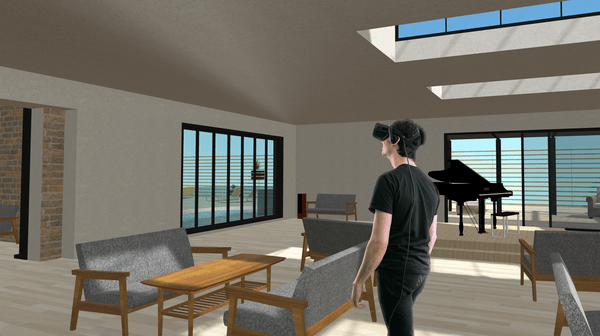 With skp2VR you can experience SketchUp and Revit models in mind-blowing Virtual Reality with the Oculus Rift and HTC Vive. The Rift and Vive have enormous possibilities when it comes to exploring Sketchup models in 1:1 scale fully immersive VR. With just the click of a button, your 3D model appears on the table inside a virtual model room, making the transition from the ‘real world’, to the ‘virtual world’ a calm and seamless experience. Once inside the virtual model room, you can jump in and explore your 3D model with the incredible sensation of presence – the feeling as though you’re actually there.